HomeCommunity GardenWhat is a community garden? A community garden is a unique and inclusive community space where neighbors and residents can come together to build community and grow food. It reflects the personality and tells the story of the gardeners and the neighborhood that surrounds it. It’s a neutral space where people from all backgrounds gather, meet and share. Gardens have been an important aspect of many cultures in history. In the past, community gardens were commonly used to provide food for families year-round. During WWII, victory gardens were an important source of food for American families. Recently, there has been a resurgence of community gardens to help mitigate the impacts of food deserts and as a use for the increased number of vacant lands present in urban areas. Community gardens can provide fresh, healthy produce for residents and allow them to reduce their food bills. There is often a misperception that community gardens are only for skilled gardeners. This is antithetical to the true nature of a community garden. Community gardens welcome skilled and unskilled gardeners in a spirit of common unity. Through the process of working and sharing together, people learn from the knowledge, skills and abilities each person brings to the garden. There is a difference between an urban garden and a farm. 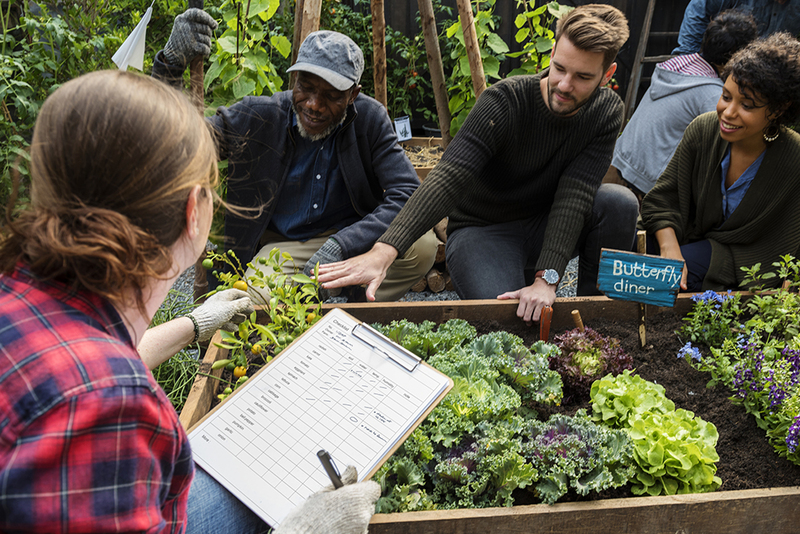 Participants may initially come to a garden to grow healthy food, however, deeply rooted community connections are the primary fruit of the gardener’s labor. With a farm, food production is most often the primary goal.